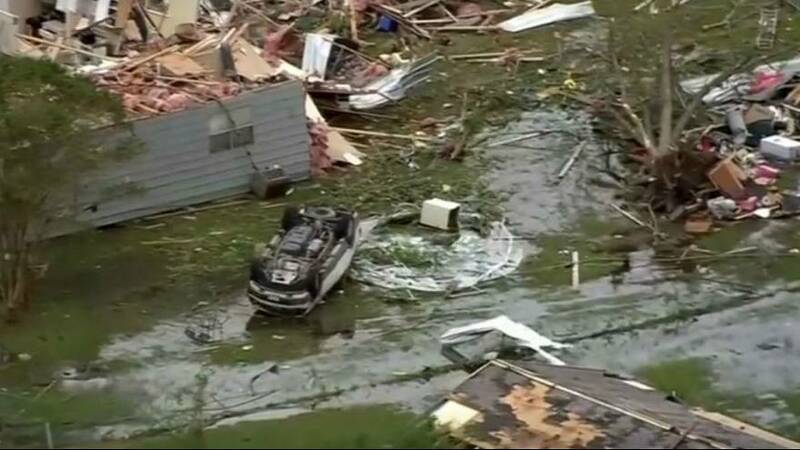 At least seven people were injured when a tornado swept through the small town of Franklin in eastern Texas on Saturday. Local media reported one woman was seriously hurt after being pulled from the wreckage of her mobile home. Other homes were damaged and vehicles overturned by the force of the twister and the town's 1500 residents were left without electricity due to downed power lines. More outages were reported in nearby communities as thunderstorms pounded the southwestern US state. The National Weather Service issued warnings of enhanced risk of severe weather for parts of Texas, Louisiana, southern Arkansas, Mississippi and western Alabama.